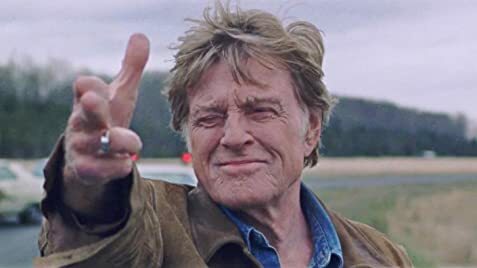 Speaking to Entertainment Weekly, Redford, 81, said: Never say never, but I pretty well concluded that this would be it for me in terms of acting, and [Ill] move towards retirement after this cause Ive been doing it since I was 21. I thought, Well, thats enough. And why not go out with something thats very upbeat and positive? In 2016 Redford had suggested he had two more acting roles in the works, after which he would quit. Our Souls at Night, a romance in which he starred opposite Jane Fonda, was released on Netflix in September 2017, while The Old Man & the Gun, a crime comedy directed by A Ghost Storys David Lowery, in which Redford plays career criminal and veteran escape artist Forrest Tucker, is due for release in September after a premiere at the Toronto film festival. Redford has been acting since 1960, when he appeared in a string of TV shows and gained a small role in basketball drama Tall Story. His profile steadily increased through the decade in films such as The Chase and Barefoot in the Park, before scoring a huge hit opposite Paul Newman in 1969s Butch Cassidy and the Sundance Kid. His second collaboration with Newman, 1973s The Sting, remains his biggest box-office success, and brought his only Oscar nomination for acting to date. (He lost to Jack Lemmon for Save the Tiger.) He was given an honorary Oscar in 2001. Robert Redford’s greatest screen roles ranked!